Waves crash on the beach. A guitar is plucked with urgency in the background. 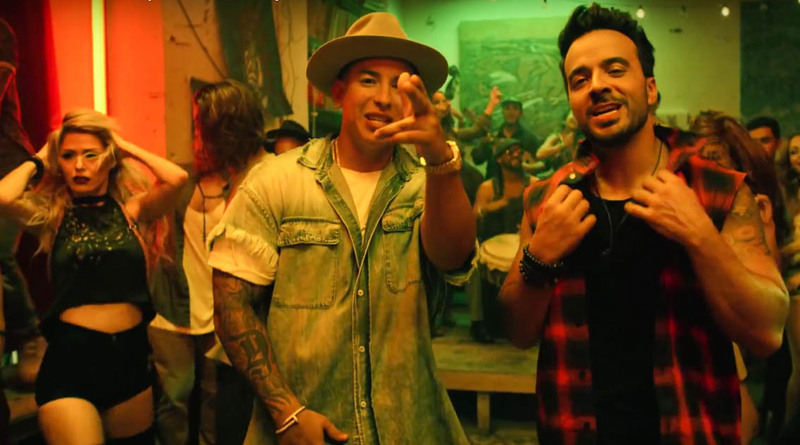 Cut to Luis Fonzi smiling at the camera, and before you know it you’re bouncing to “Despacito.” I rarely take the time to consider the artistry behind music videos, but the visuals featured in “Despacito” are hard to forget, considering the song is infectious and the video has accrued over five billion views. The first video to break a billion views, “Gangnam Style,” now has over three billion views, and there’s a whole slew of other videos that have joined the billion-view club. The Argus has a long track record of reviewing movies, TV premiers, concerts, art exhibitions, and plays. Clearly, all of those belong to the Arts & Culture section, but there’s at least one medium that goes tragically unnoticed: YouTube. The video platform is wildly popular and successful (which is why Google acquired it in 2006), and it is now offering a television feature, allowing users to live-stream TV channels. YouTube Red is another service, one that offers certain exclusive content from creators (like Jake Paul). Some instantly recognizable memes come from the site and (with the death of MTV music videos) is the primary platform for viewing music videos. So why aren’t we taking it seriously? Part of YouTube’s problem is that it’s so free form. Pirated content and low-definition cellphone footage sits next to high-def, well-edited videos. TV shows have a pacing and a consistent length, whereas YouTube videos vary frequently in length. It’s hard to know what to review because one would have to wade through a swamp of videos to find a series worth writing about. The ambiguity of what’s featured on the platform means that there are a flood of memes, inside jokes, and pirated content drowning out the videos that earn millions of views. But that flaw is also the platform’s greatest strength. YouTube is a democratic online space where people can share anything. Movies and TV shows face the limitations of production studios and executives. YouTubers can produce high-def shows about a myriad of subjects without high production costs. This makes so much art possible that was not before. For example, Jon Salmon uploaded a music video for MGMT’s “Kids” that accrued over 50 million views. Salmon’s video was an assignment for film school, which he happened to upload on the video platform. For many years, I even thought that Salmon’s video was official. Other artists corralled their YouTube fame into record deals. Justin Bieber, The Weeknd, and Ed Sheeran launched their careers uploading videos of themselves online. Some people make their entire careers on YouTube. Middletown resident Anthony Fantano runs a music review channel that has over a million subscribers. Fantano is one of many people living off of the money they earn on the video platform. Newspapers, not limited to The Argus, should start covering YouTube, where the next Justin Bieber is waiting to be discovered. When people gain massive followings online, they also gain influence. Ignoring them is ignoring where a lot of art and culture emerges in this digital era. Another key problem that comes with neglecting YouTube as an art form is that its content holds a lot of political sway. Popular YouTuber Ethan Klein of h3h3Productions posted an insensitive tweet, which implied that genital mutilation changes someone’s gender. The tweet also coincided with the trans day of visibility, an international day dedicated to celebrating the existence of trans people. Klein maintains in a video that it was a joke and that it wasn’t offensive (not that he didn’t intend to offend anyone but that the joke was not offensive at all). In that video, Klein also posted screenshots of tweets from a trans woman who criticized him, unleashing his millions of fans to harass her. Justin Roiland, co-creator of the show, “Rick and Morty,” directed a condescending tweet to the woman as well. None of this was covered by major media outlets, but this is one of many pop-culture political conflicts that occur on the platform—conflicts that often result in endless harassment and threats. YouTube needs to be treated seriously because people are creating real art with real consequences. Newspapers that cover culture are missing a large segment of culture by not writing about YouTube or other popular online platforms. Before a new Justin Bieber or another harassment campaign arises, maybe newspapers should shift their focus. You never know when another “Despacito” is around the corner.